With an aim to stand tall on the expectations of our esteemed clients, we are engaged in offering wide gamut of Multi Layer Cylindrical Screen. This cylindrical screen is used in multilayer film and lamination plants. 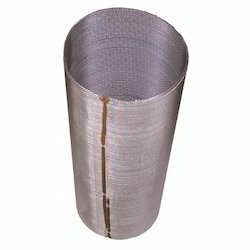 Our offered cylindrical screen is made available in number of diameters as per the needs of our customers. We are giving this cylindrical screen to customers within a given time frame at reasonable price.